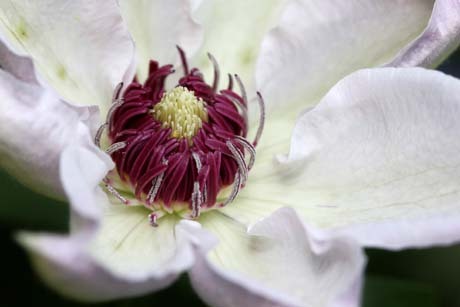 I adore clematis, the large delicate-looking flower heads of various varieties providing a lavish display in the garden for almost every month of the year. The flowers might be purple or red, white or cream, soft or loud pink, or lavender blue. 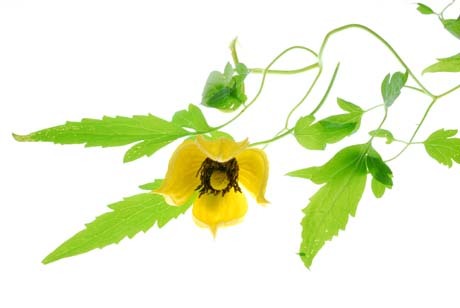 They might also be yellow, like Clematis tangutica, a rather unusual looking species with its lantern-shaped blooms that appear from midsummer through autumn. In late summer wispy white seed heads appear alongside the flowers, and both are excellent for the vase. If you plant this species, give it a good prune in winter, after flowering. 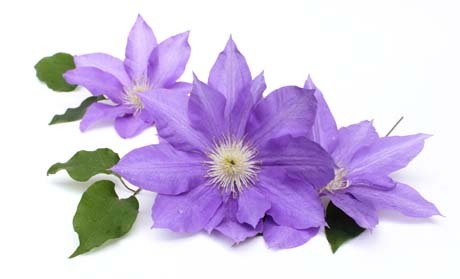 All clematis like a fertile, organic-rich, free-draining soil in full sun to partial shade. They do best when their feet are shaded, so mulch the base of the plant to keep the roots cool over summer. Mr Clematis from Yaku Nursery says, “It is always a good idea to prune clematis back to 1 pair of buds above ground level when planting in spring or summer. It is wise to keep shoots below 1.5 metres the first and second year. When planting in pots, use at least a 20-litre pot and use a bark-based potting mix with slow-release fertiliser (boosted occasionally with a spoonful of Nitrophoska Blue Extra). 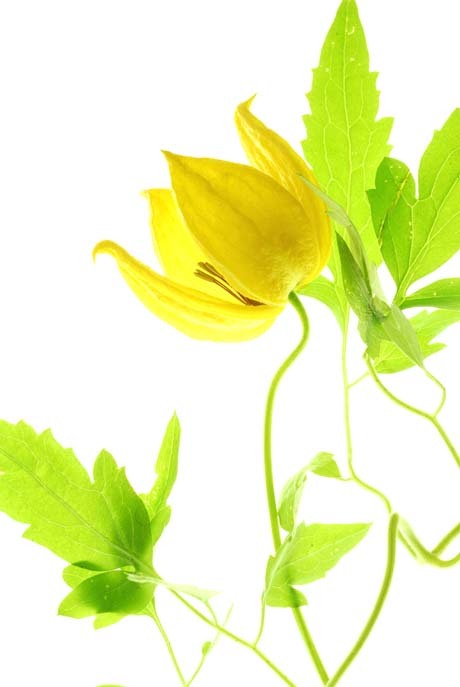 Do not use water-holding gel.” Click through to the Yaku Nursery website for more growing information as well as a very extensive clematis catalogue. When harvesting for the vase, pick flowers early in the morning after a good soaking the night before. Choose flowers that are not quite fully open for longest vase life. 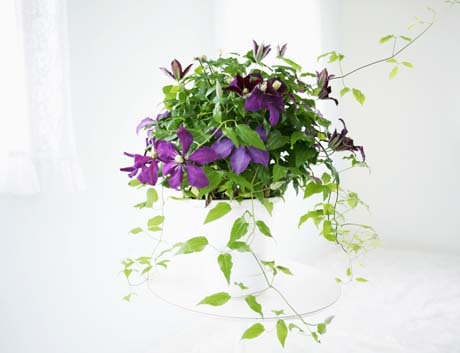 The centrepiece shown above features a pedestal vase with a dome-shaped block of floral foam with the stems and flowers of clematis inserted into it. It’s quite difficult to track down but you could try Dandy Plants or NZ Bulbs. Good luck!